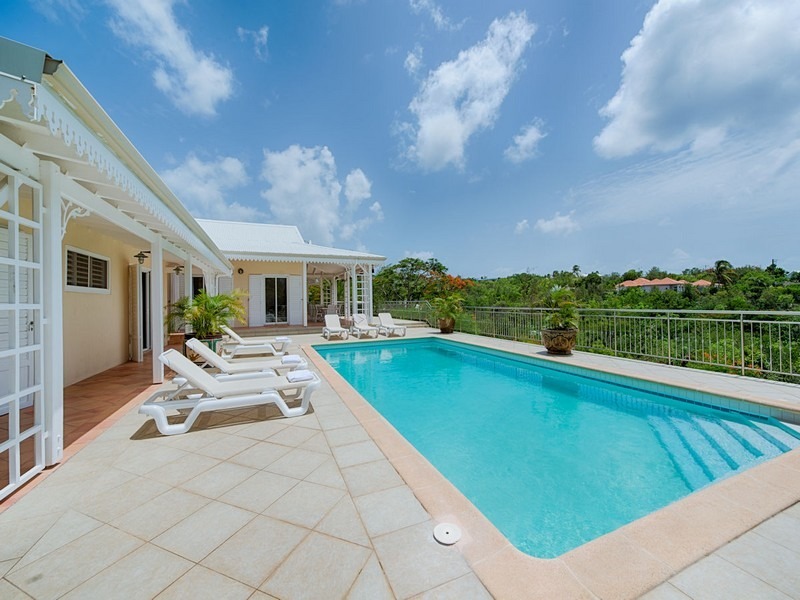 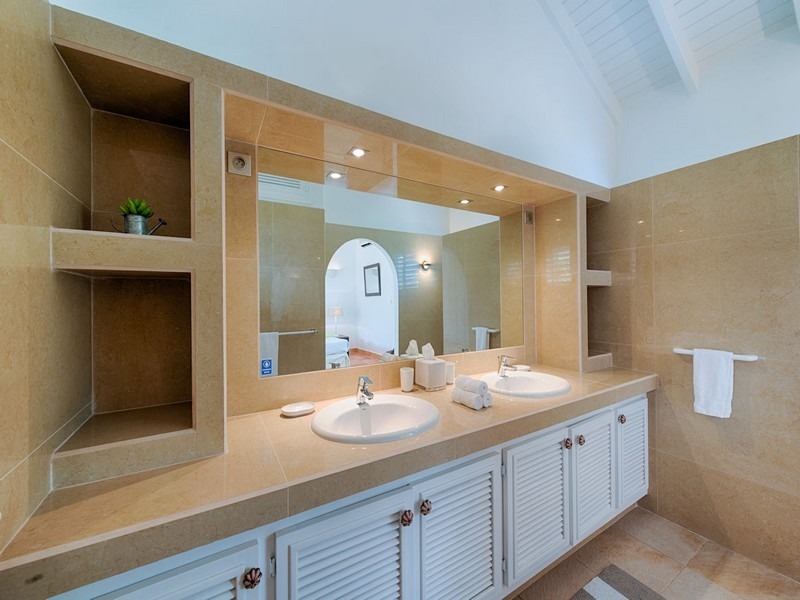 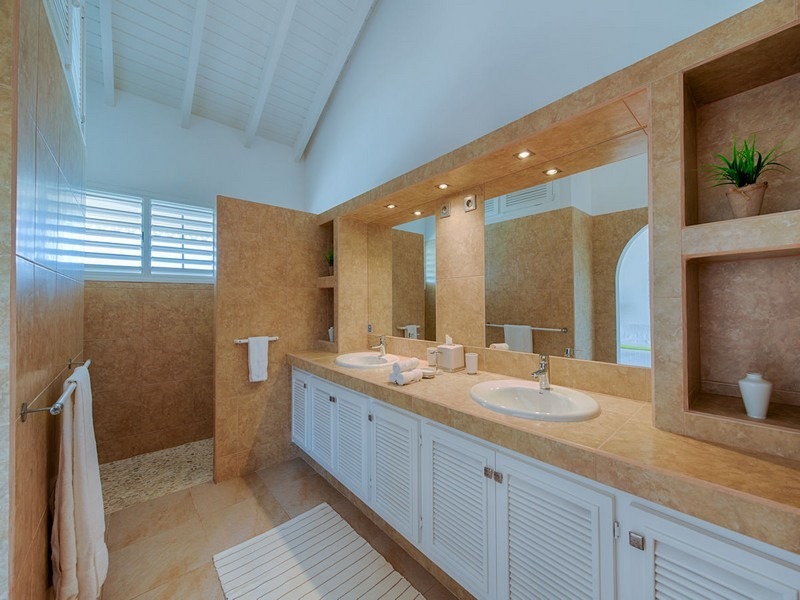 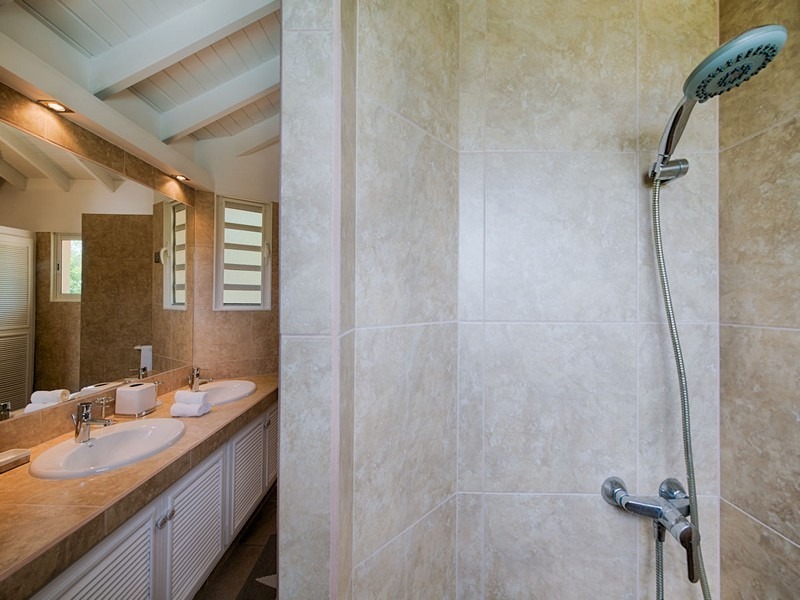 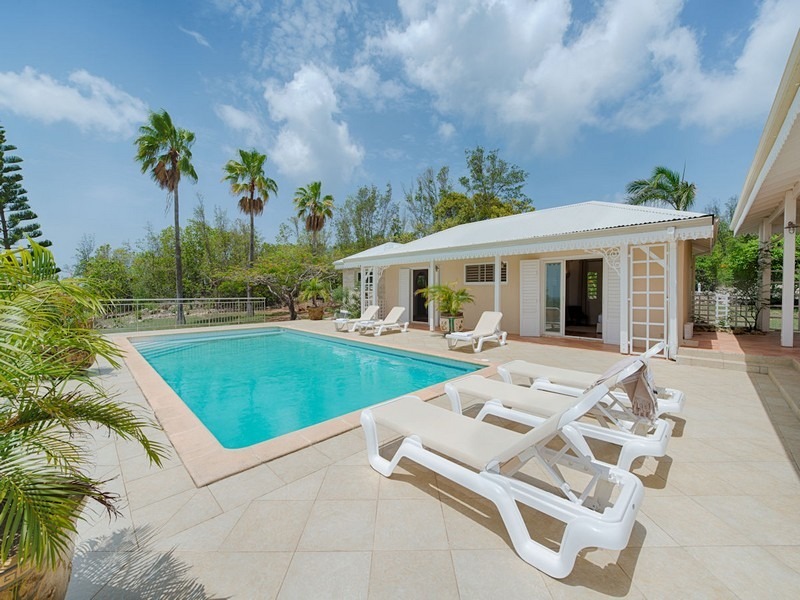 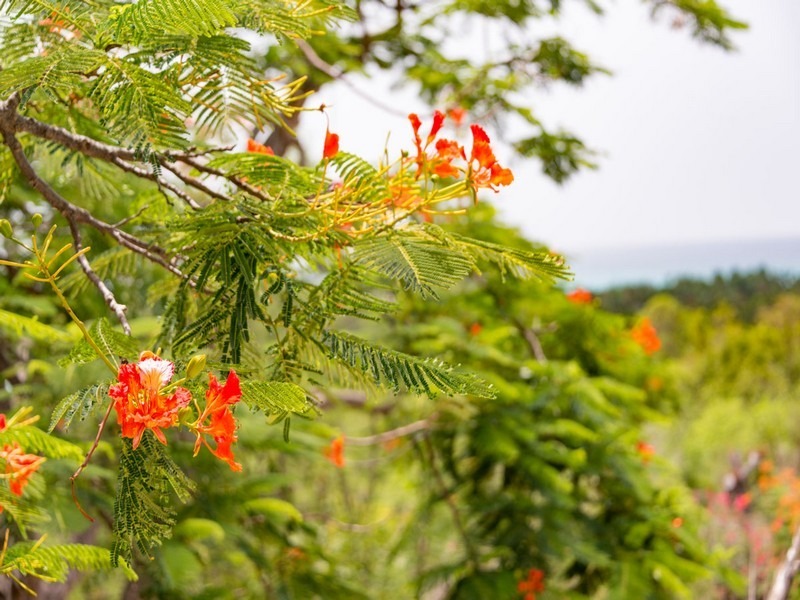 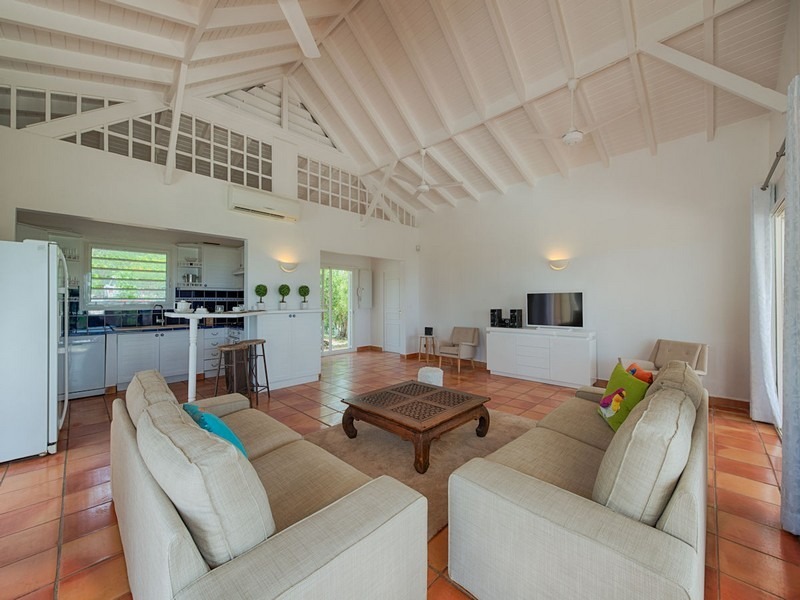 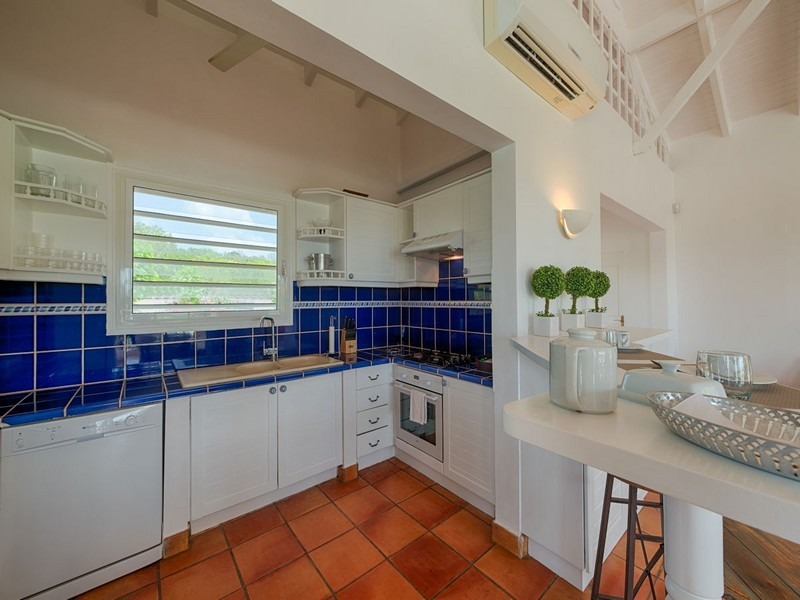 This newly renovated four bedroom colonial styled villa is ideally located in the heart of the exclusive Terres Basses area and within minutes walk to the beautiful beach of Plum Bay. 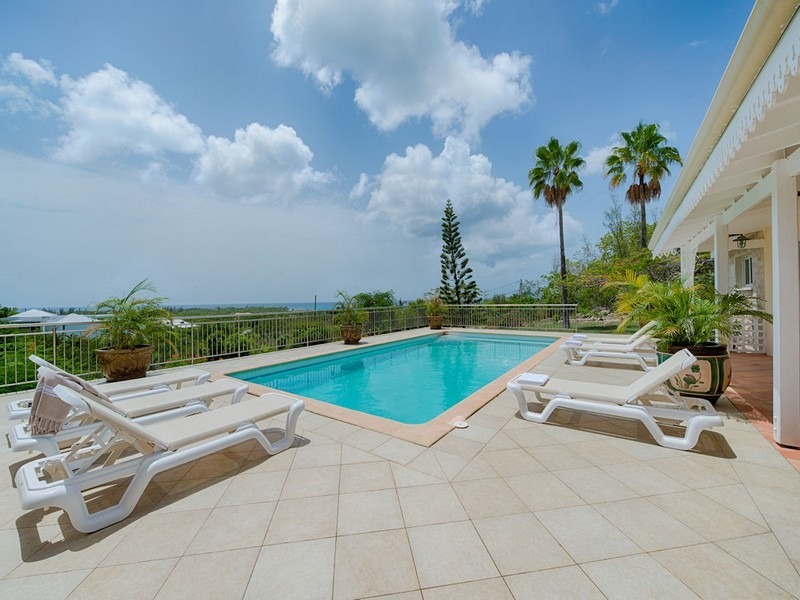 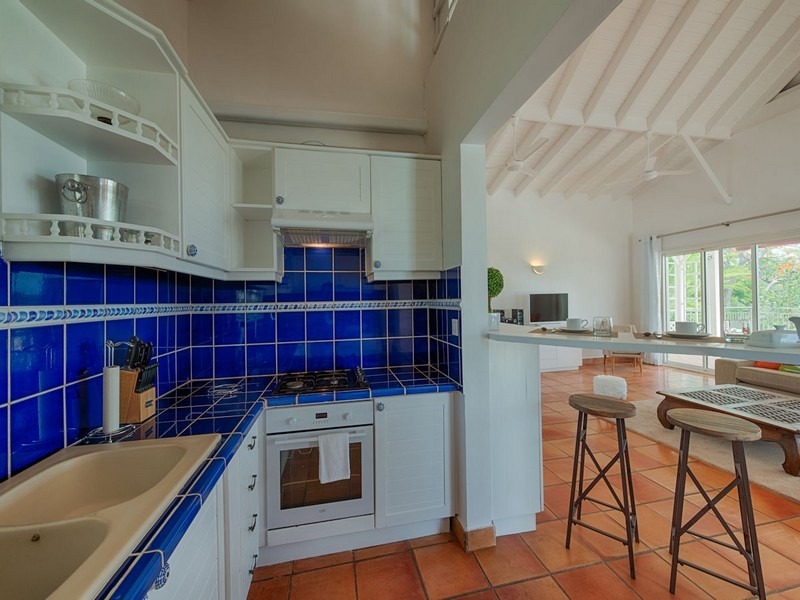 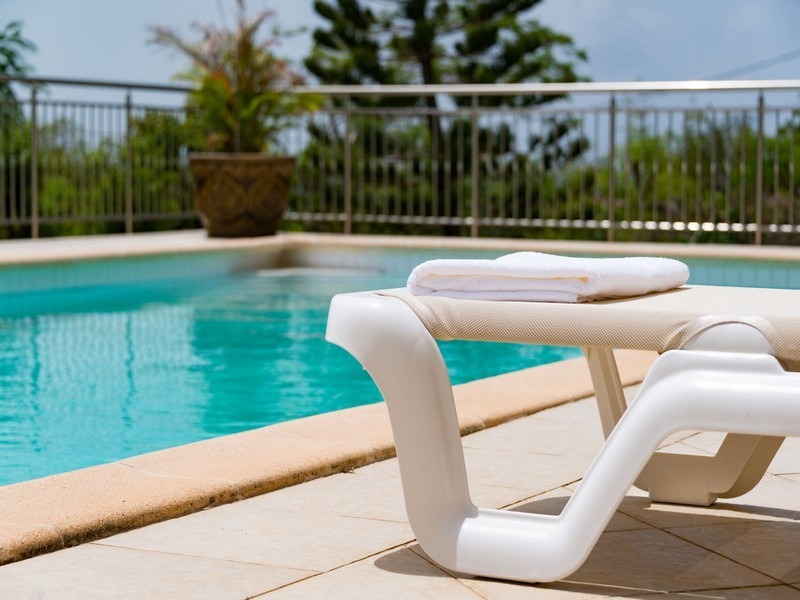 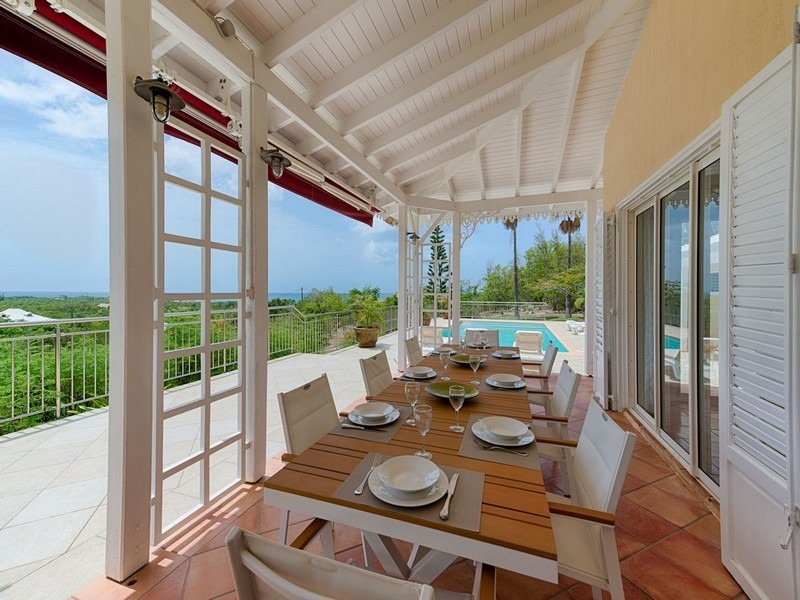 You will enjoy the beautiful views of Baie aux Prunes from the spacious terrace around the pool, the covered sitting area, the kitchen and living area as well as from 2 of the bedrooms. 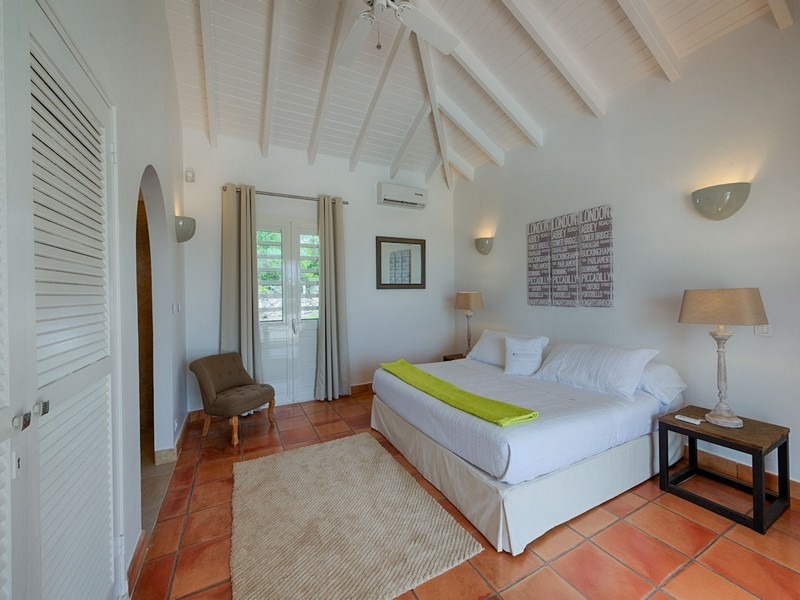 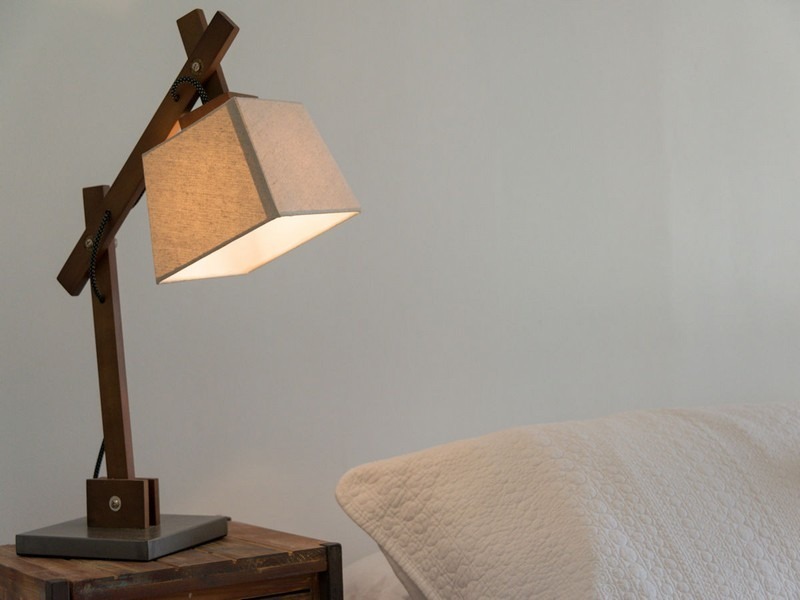 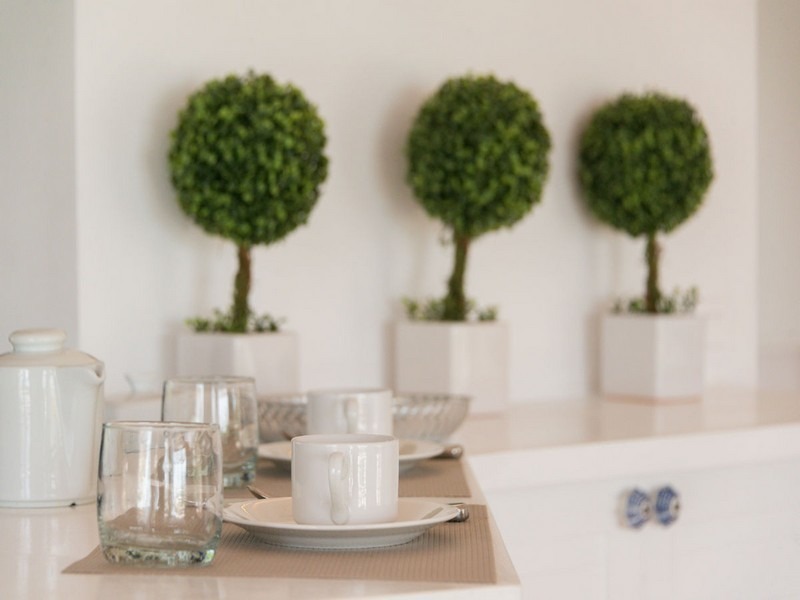 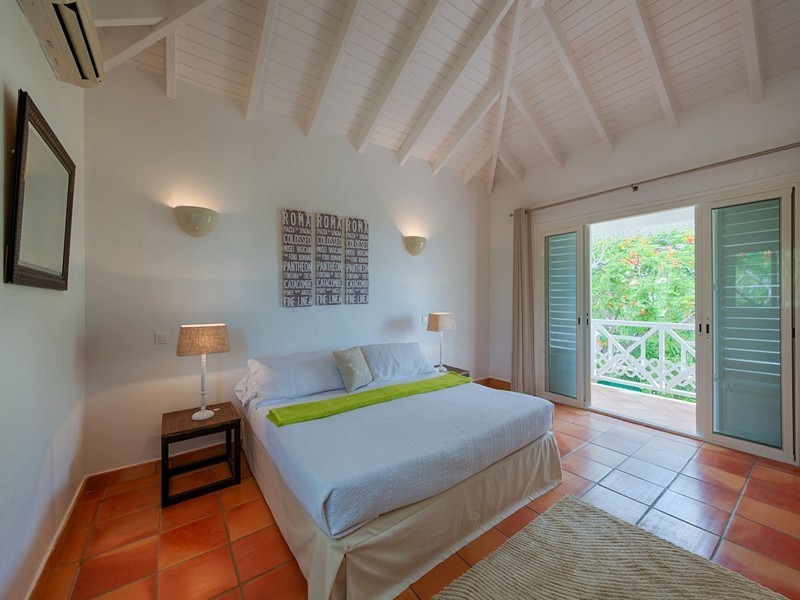 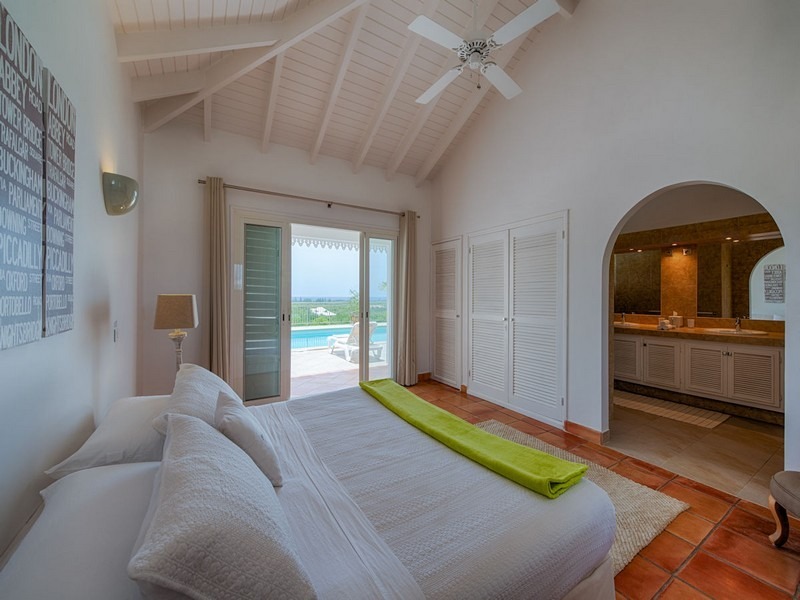 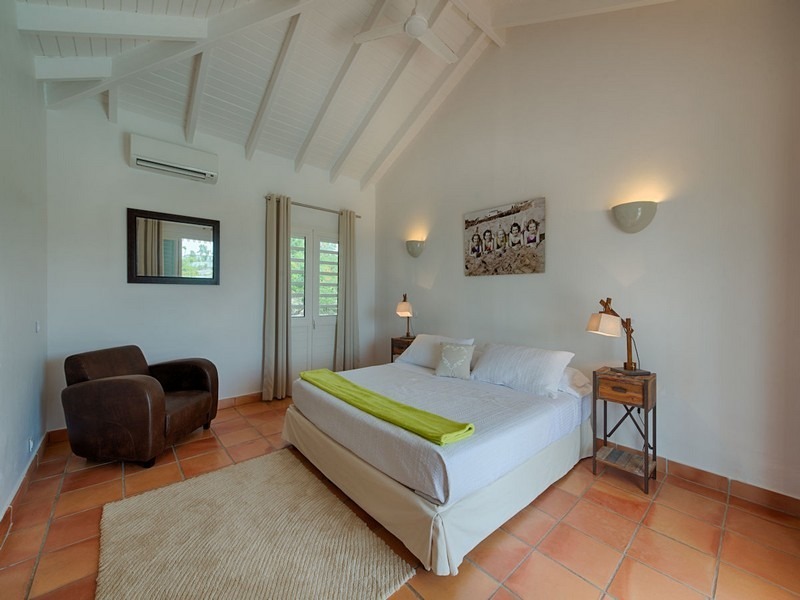 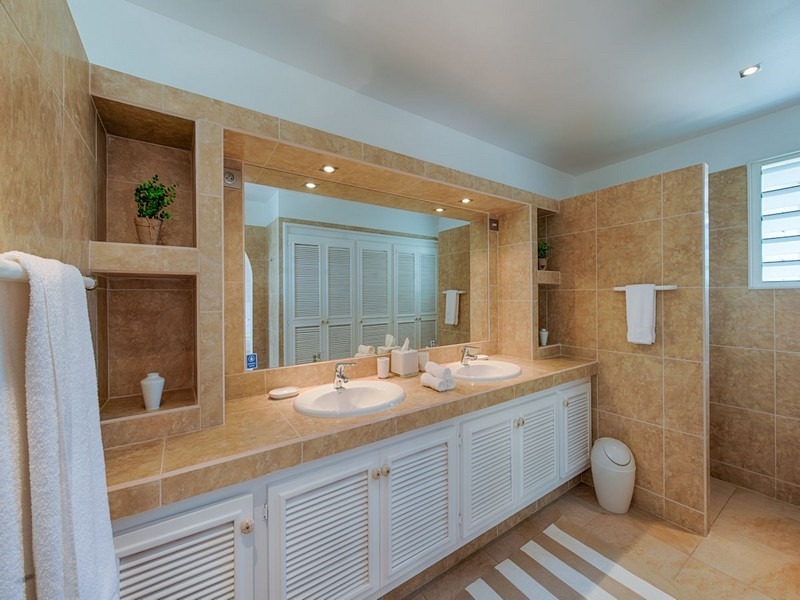 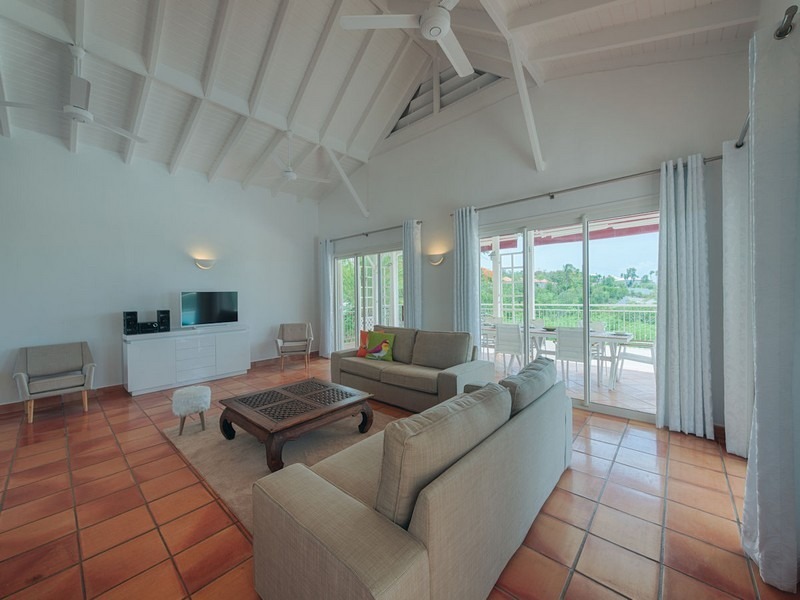 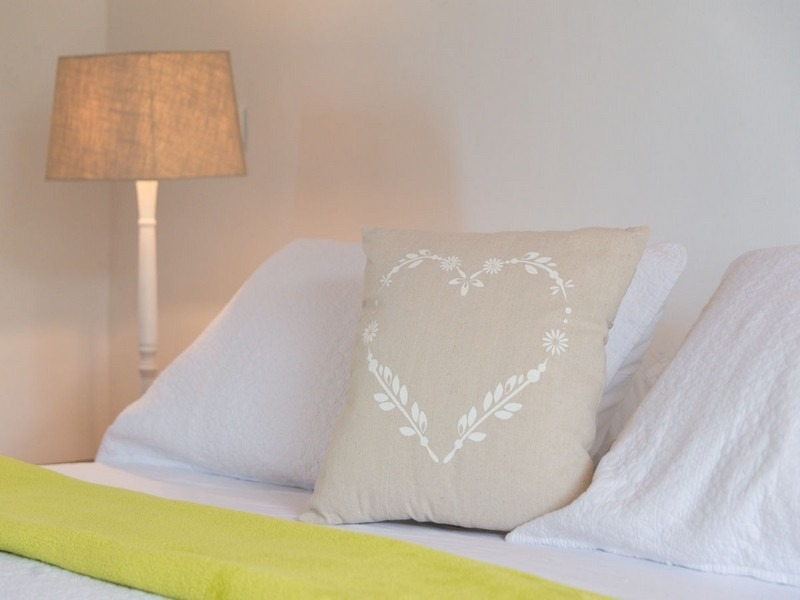 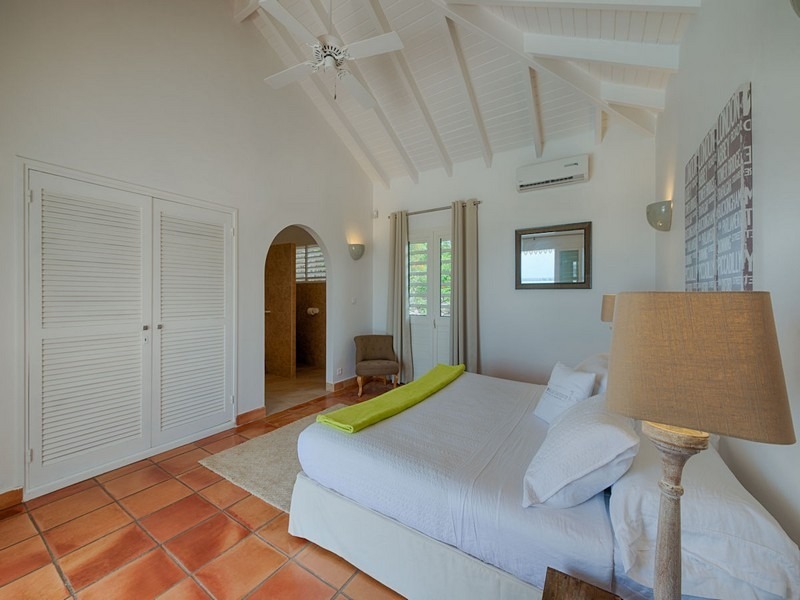 All of the bedrooms have a King sized bed, a ceiling fan, A/C and a large en-suite bathroom. 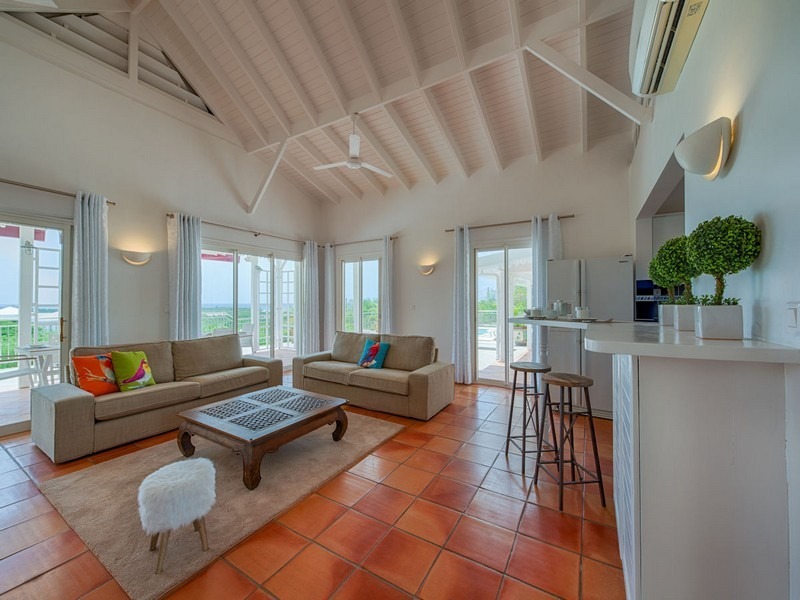 The living area is air-conditioned and has the American satellite. 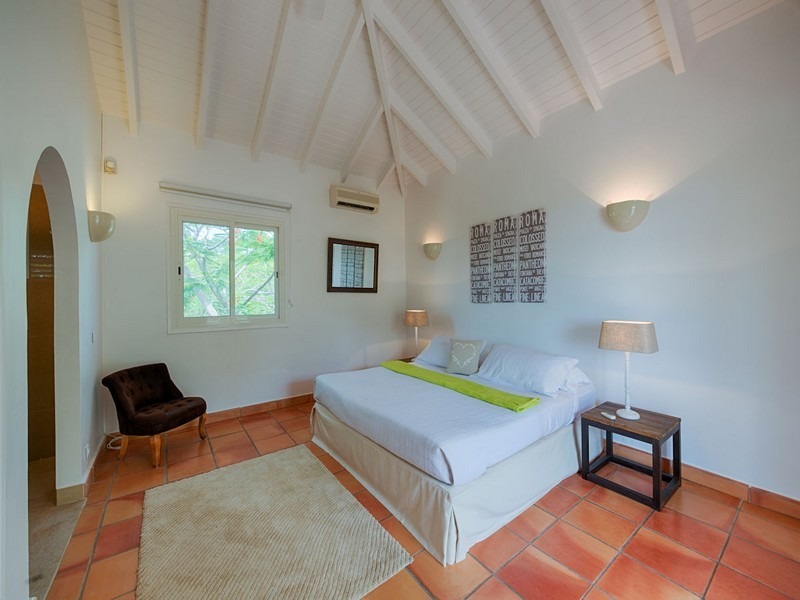 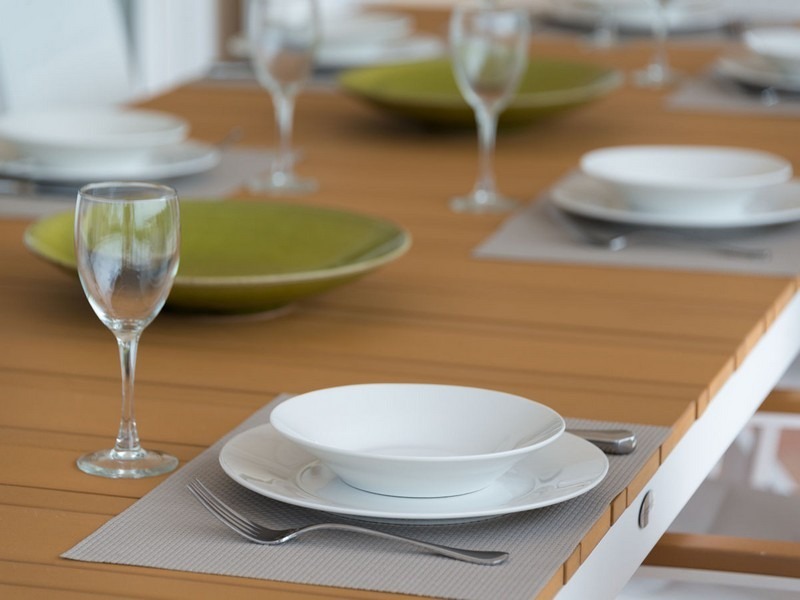 Madras is the perfect winter escape for families or couples travelling together.